There are many reasons to trim your horse’s hair. Sometimes it is due to aesthetic reasons, sometimes in order to minimise sweating during physical effort, because in autumn horses have longer hair, called undercoat, which may be too hot for those who train a lot. Due to proper trimming you also shorten the time of warm-up and increase the horse’s organism efficiency. The service may be put out for professionals to do it for you, or you can do it by yourself. It might seem difficult at first, however if you have a good trimmer for horse shaving, a bit of theoretical knowledge, patience and genuine will, you will be able to trim your horse just as well as a professional. Before trimming, you should pay attention to the conditions your horse is working in, how much he sweats and if you are trimming your horse’s coat for the first time. All these factors decides about the best type of trimming. In order to minimise the risk of back abrasions you can leave the hair as it is in the place where a saddle is put. If you have a horse that often rides in a demanding field, you can also leave longer hair on his legs, as it will protect him from getting hurt. It is recommended to thoroughly clean your horse one day before trimming. Cleaned and well-dried hair is easier to trim. Trimming can be irritating for the horse, so you need to be gentle while doing it. 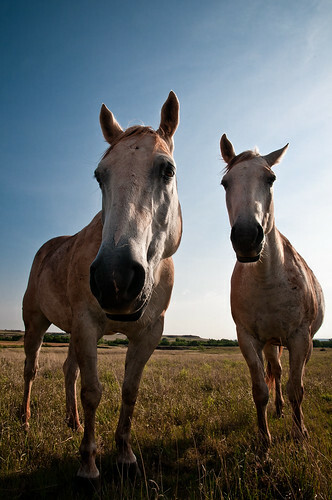 Your horse should be fed and hydrated, because then he will be calmer. If it is possible, trim your horse in a place where he spends the most time and feels safe. 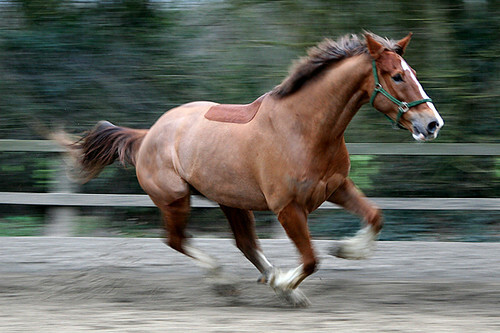 Horses that are not used to electric razors should first hear the produced sound and vibrations. In order to do so, you should earlier turn the shaver on in your horse’s presence, so he can become familiar with the sound. Preferably you shouldn’t turn the razor on while standing next to your horse, because he might get scared, but turn it on when you’re far away and then start approaching your horse. Another useful thing to do is to slide the shaver along your horse’s body so he can become accustomed to its touch. Remember that the very first trimming is crucial for his later reaction to this treatment. If your horse will get scared the first time, he will remember it by the next time, maybe even for a long time and he may be very reluctant. While buying a trimmer it is worth buying one that has lower emission of noise and vibrations. It is good to buy a piece from well-known and recommended brands. During first couples of trimming it is good to choose as simple trims as possible, so you won’t discourage your horse for the future. In order to protect the hair of the mane and tail from accidental cutting, you can wrap them with a bandage or elastic band. You can scrape he places where you want to cut e.g. with soap. You should start trimming on a shoulder because this part is not sensitive and move towards more delicate parts. You should trim against the hair. While shaving on a wrinkled skin, stretch it with your hands so you won’t cut it. You need to check the shaver’s temperature every now and again, as the device while working can become really hot. You need to be very careful while trimming your horse. 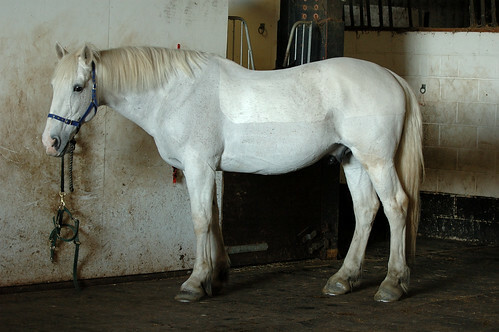 Trimmer would be best for it, because it should be less stressful for your horse than a razor. While trimming the horse’s head you can cover his eyes and talk to him, as your voice should calm him down. Do not forget that in order to teach your horse to be trimmed you have to be patient, but you will gain experience with each trimming. The most important is that you are gentle in what you are doing and that you put your horse’s well-being on the first place, instead of aesthetic sakes of trimming. Crucial is the quality of used trimmer, which is why you should buy it in a reputed equestrian shop and choose one of labelled products.